MADARS RAZMA headlines the seven players who have secured PDC Tour Cards via the European Qualifying School Order of Merit, with entries for the UK Qualifying School now confirmed. 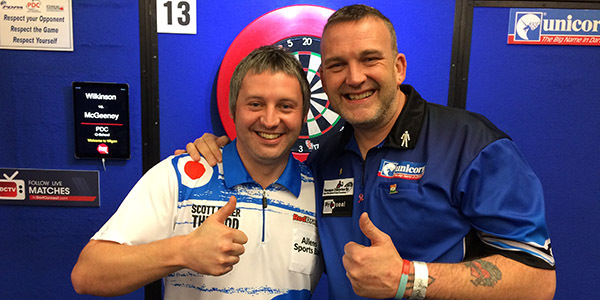 The beginning of January saw 249 players compete at Halle 39 in Hildesheim, Germany, as Niels Zonneveld, Mike van Duivenbode, Christian Bunse and Darius Labanauskas won Tour Cards outright over the four days of competition. A total of 397 players have entered the UK Qualifying School, which will be held from January 17-20 at the Robin Park Tennis Centre in Wigan, with the number of Tour Cards on offer divided on a pro-rata basis in relation to tournament entries. There will be 19 Tour Cards on offer for UK Qualifying School and 11 for European Qualifying School, meaning the top seven players on the European Qualifying School Order of Merit will join the four already-qualified European players. The European Qualifying School Order of Merit was topped by Latvia’s Razma, who reached the final of a Players Championship event in 2018. Experienced Finnish player Marko Kantele is joined by Dutch pair Yordi Meeuwisse and Vincent Van der Meer, while there is a return to the PDC circuit for Greek number one John Michael. Portugal’s Jose De Sousa also competed at Alexandra Palace in December, with Maik Kuivenhoven sealing the seventh and final place to make it five Dutch additions to the PDC circuit in 2019. Lithuanian Darius Labanauskas earned a PDC Tour Card as he won the final day of 2019 European Qualifying School on Sunday in Hildesheim. Labanauskas, who famously defeated Raymond Van Barneveld last month at the William Hill World Championship, clinched glory in Hildesheim with a final victory over another Dutchman in Vincent Van der Meer. The Lithuanian joined Niels Zonneveld, Mike Van Duivenbode and Christian Bunse in winning Tour Cards outright with tournament triumphs during the four day event, which had 249 entries. The third PDC Tour Card of the European Qualifying School went to German youth star Cristian Bunse, who beat Pavel Jirkalin in todays final from Germany. 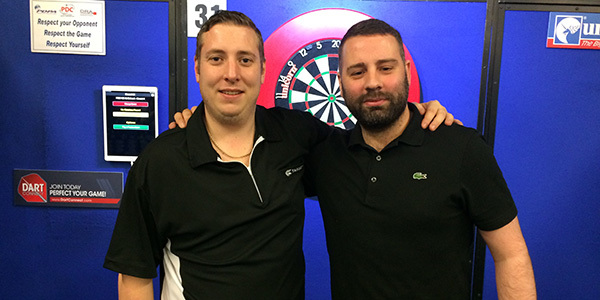 The German youngster, who reached three finals on the PDC Unicorn Development Tour in 2018, secured full-time status on the PDC circuit by triumphing at Halle 39 on the day before his 24th birthday. Following Thursday’s Day One success for Netherlands youth star Niels Zonneveld, another Netherlands youth player Mike van Duivenbode beat Latvias Madars Razma on a last leg decider 5-4. Dutch youngster Niels Zonneveld secured the first PDC Tour Card available at the 2019 European Qualifying School in Hildesheim, Germany. The 20-year-old, who won a PDC Unicorn Development Tour event in 2018, battled through a field of 249 players and averaged 99 as he beat Christian Goedl 5-1 in the final. Zonneveld, from Uitgeest in the Netherlands, took out 115 in the opening leg before breaking throw in the second. Austrian Goedl responded in the third, but was then powerless to resist the Dutchman as he clinched the next three legs to secure his tour card.